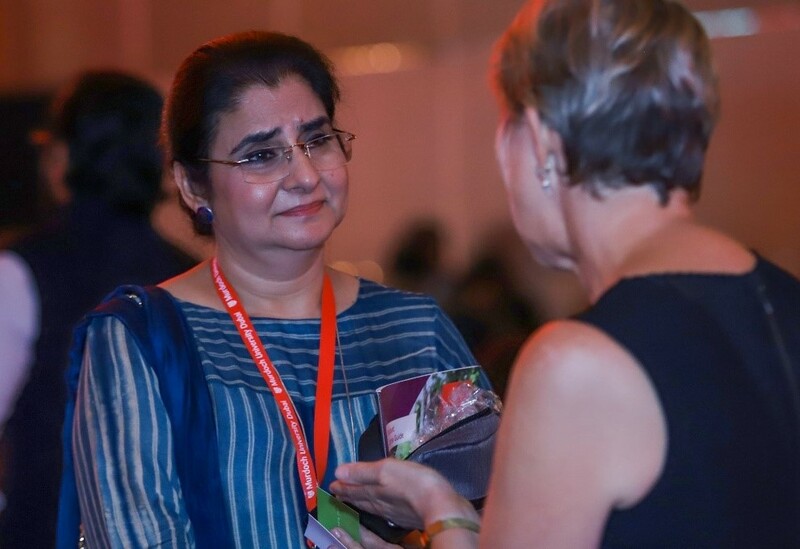 Connecting with education partners and raising awareness about studying, living and working in the business hub of the Middle East in an enchanting Dubai-themed event in New Delhi. Murdoch University Dubai held a Health Care Management Forum earlier this week as part of its Master of Health Care Management program launch. Distinguished leaders in health care were invited to discuss and debate topics around leadership and transformation within the health care industry. Doctors, nurses and administrative staff who work in a variety of environments, such as medical companies, health authorities, multi-level care facilities and hospitals attended the forum which was held at the Hyatt Regency Dubai Creek Heights, Dubai Health Care City. Attendees were able to share ideas and ask questions to a panel of experts, with representations from government and private sectors including Ministry of Health, Dubai Health Authority, Synapse Medical Services, Kings College London and Ayurveda Centers. The health care leaders outlined megatrends and new technologies in the UAE and shared personal experiences. Margaret Faux – Founder and CEO of Synapse Medical Services – gave a keynote address titled “Thinking Outside the Hospital Box” and gave 10 tips to current and future healthcare leaders on how to practise leadership in health care. According to Faux, managing health care is different to managing any other industry and requires a certain skillset and knowledge. The panel acknowledged that the UAE health care sector is doing very well with the development of its universal health care coverage scheme. Health care in the UAE has been ranked at number 10 globally in terms of systems operations, efficiency and quality. They agreed that it is a great achievement for the country in such a short period of time. Murdoch University’s Master of Health Care Management aims to cultivate excellence in leadership and management in health professionals working in quality, safety, risk and middle management roles in acute, community, mental health, primary and aged care in the public and private sectors. Upon completion of this course, health care professionals will have the capacity to apply these skills in a range of management positions and become leaders and champions of change. Innovative and creative elective and research units are designed to allow different disciplines to focus on their areas of speciality. The university is now accepting applications for May 2019.
International students have the opportunity to pursue higher education English faster and enhance their provision of the language, thanks to a new course at Murdoch University Dubai. The English Language Programs (ELP) offers a gateway to students who do not currently meet entry requirements for undergraduate or postgraduate courses, but wish to study at that level. Students can now apply for the Academic English and General English ELP courses, which start on Sunday 10th March. The Academic English course focuses on academic proficiency and literacy, preparing students for the complexities of higher education, enabling them to become confident and independent learners. The General English course is ideal for those wanting to improve their confidence in conversational English and learn real-world skills for living, travelling and working abroad. Both courses focus on writing, listening, reading and speaking; with additional critical thinking and employability skills modules for Academic English students. Murdoch University Dubai endeavours to increase its international student intake and promote the UAE as a destination for unrivalled education, by offering valuable opportunities that better prepare students for their future endeavours. General Manager Justin Blake said: “The ELP is essentially a fast-track pass to the English language. As the primary language in so many countries across the globe, this really is a fantastic opportunity for students to equip themselves for the future. “At Murdoch University Dubai, we put students at the heart of everything we do to enable them to become future leaders and make a difference to the world. With students from countries such as China, Tanzania, Sri Lanka, Kenya, Nigeria and Indonesia, it’s important that our offer continually evolves and is truly global. “We feel lucky to be based in such an inspirational country and a cultural melting pot. We strongly support 2019 as the UAE’s Year of Tolerance by creating an environment in which international students come together to learn, share and grow, to create memories and become the best version of themselves. For those interested in Academic English, a pre-course qualifying test is required to guarantee a place and speakers must be intermediate to advanced. For General English, there is no minimum entry requirement, although beginners are advised to contact the university for study advice. In addition to ELP, Murdoch University Dubai offers a range of foundation, diploma and graduate certificates, allowing students to naturally progress into undergraduate or postgraduate programs upon completion. For more information, visit www.murdochuniversitydubai.com. For press enquiries, interviews or further information, please contact JWI Advertising. Email gabrielle@jwi.ae or call +971 (0)4 278 5176 / +971 (0)54 773 5775. Murdoch University Dubai is a core branch of Murdoch University, which is based in Perth, Western Australia. A third campus is based in Singapore. Tuition fees and course durations vary. If required, student visas can take up to three weeks to be granted.